For the people of different origins, language has always remained as a barrier regarding communication. If you are traveling from one place to another then lag of communication will sometimes create a barrier among the people. As you know English is the dominant language all over the world; people can communicate with other quickly. 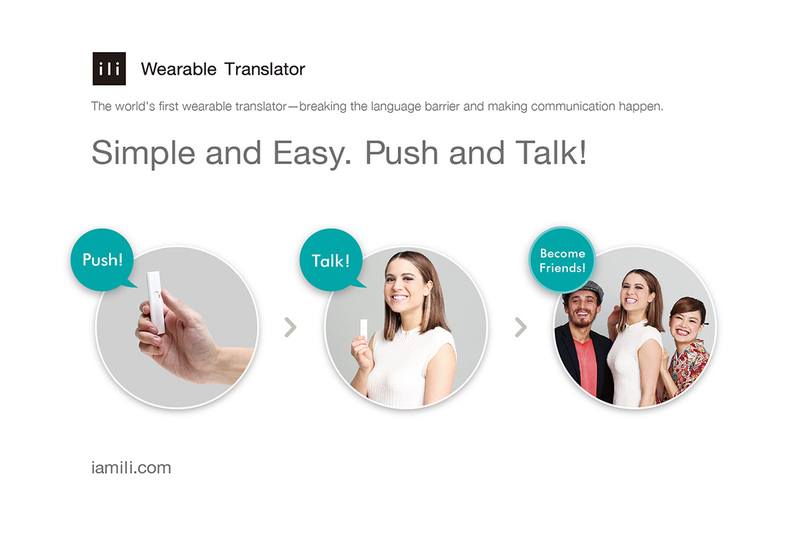 But the problem is if you are not good at it, you cannot have a meaningful conversation with your client or colleague.So to overcome this issue Logbar has designed a Wearable Translator that can be used for a perfect communication among the people. This product will be showcased on CES 2016 which is going to be held in Las Vegas. Ili is said to be one of the first wearable translator of its kind in the world breaking the language barrier among the people from different origin or nation and helps in making the communication among them. The device is designed in such a way that you can use it easily and can operate it with your smartphone. Before you use the device, you need to set the input and output language using the dedicated App on your device. How does the Ili Works? You need to push the button on the Ili and speak the content what you want to say. Ili takes the input and translates it to the respective output and plays it back so that other party can hear what you are talking about. It comes with a built-in translation engine using that it does the hard work, working in tandem with speech synthesis chipset as delivers the output. There is also a pre-loaded library of travel lexicon available on the device making it ideal for globe-trotters. The basic model that was designed handles English, Japanese, and Chinese conversation. The brand is also planning to upgrade the device where the second generation model will handle French, Thai and Korean and we can expect Spanish, Italian and Arabic Options in the later version. The pricing of the product is yet to be revealed, b.ut there is a talk that it would be available at a decent price to overcome and will overcome the communication barrier between the people. The product would be mostly available by the end of March or April.